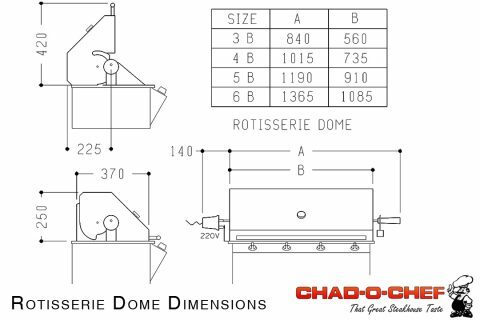 The Chad-O-Chef Rotisserie Dome is perfect for upgrading your Chad-O-Chef Gas Grill to accommodate a slow roast. Add the perfect Spit-Braai accessory to convert your Chad-O-Chef Gas Braai into the ultimate flame grilled experience. 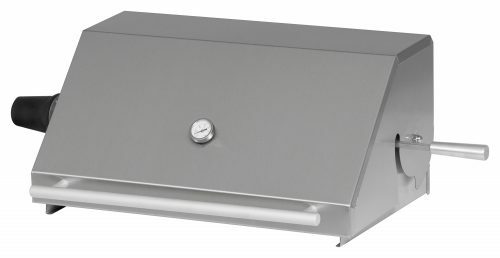 Combined, the Rotisserie Dome’s high-torque motor keeps your roast turning, whilst the thermometer gives you peace of mind, leaving you with ample time to concentrate on your guests.